Since Halloween is right around the corner, I thought a nice large spider was an appropriate post. This is a Nursery Web Spider, I found him in the Amazon Jungle, at the Tamshiyacu-Tahuayo Reserve. We came across this fellow on a night hike in the jungle. Our guide, Alfredo Dosantos Santillán, took us to an area where the ground was still dry (the Amazon was in a flood stage at the time) and we could easily walk and look for creatures of the night. We were looking for spiders, snakes, and all manner of critters, tapping logs and overturning branches and large leaves to see what we could find. I really like the way this shot came out, with the bokeh effects of the light in the background of the web and limited depth of field. I am not to sure what the exact scientific name of this guy is, I asked and was told there are too many types of spider in the Amazon to name. 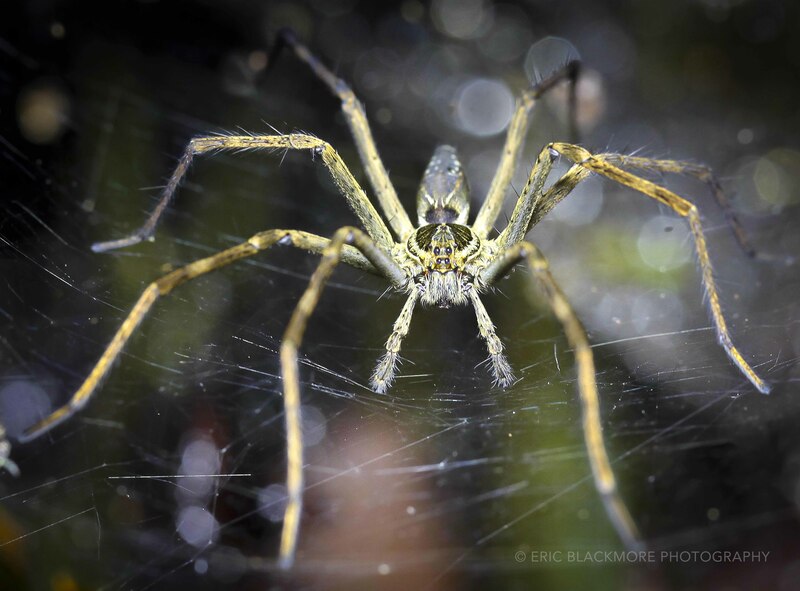 This entry was posted in Photography, Travel Photography, Wildlife Photography and tagged Amazon Jungle, night photography, Original Photography, Peru, spiders, Tamshiyacu-Tahuayo Reserve, wildlife, Wildlife Photography. Bookmark the permalink. It almost looks like s/he’s skating on ice. Love it!